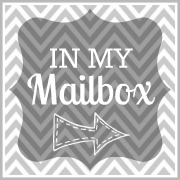 Some non-book related things showed up in my mailbox this week that I just HAD TO share with you all! As you know I am under a book buying ban at the moment.. but I am not under a SUPPORT SAFETYSUIT buying ban ;-) haha Look at the beauties below!!! Way to be sneaky! lol Enjoy!! Ahhh I love Safetysuit! So jealous!! that shirt is super cool. 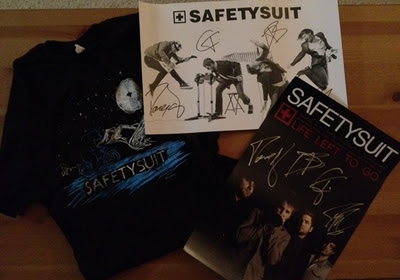 yay Safetysuit! Hahahaha, oh you and SafetySuit. I really like the shirt! Are you going to wear that when we go on our NYC journey?! "Hey guys, heard of SafetySuit? I'm here b/c of them!" Ooh, new-to-me band! I really like them -- congrats on the pretties. I listened to Safetysuit on Spotify and decided I liked them, maybe when I listen to more that will turn into love but idk. I'm more a rap kind of a girl myself. Haha, great mailbox. I really need to check out this band! Awesome stuff! I love getting swag for my favorite bands :) It's always so much fun to rep them! Signs of a true fan! Make sure to take pictures after you hang them up! 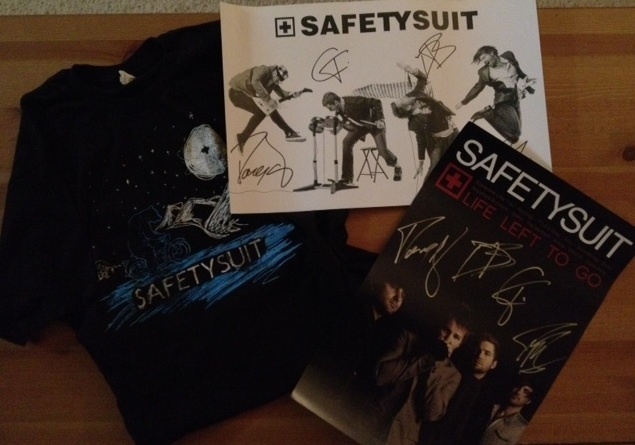 You must be very happy with all your safetysuit stuff!